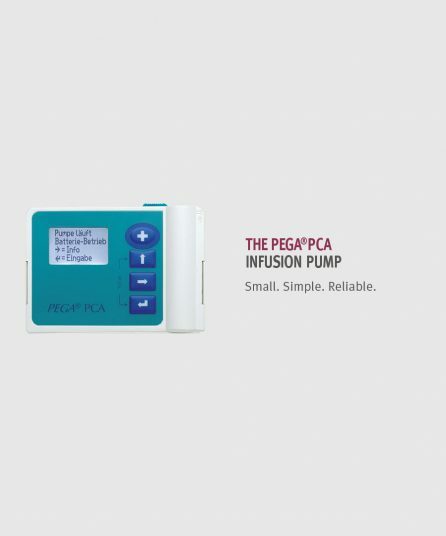 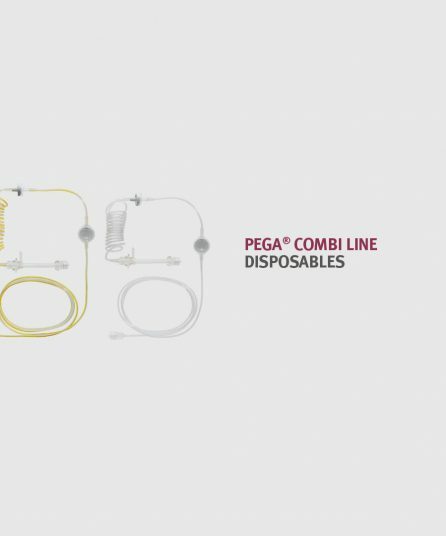 The PEGA® COMBI LINE consists of one (200 cm) infusion tube with a 0.2μm sterile filter complete with air separation to prevent air infusion, and one pump segment. 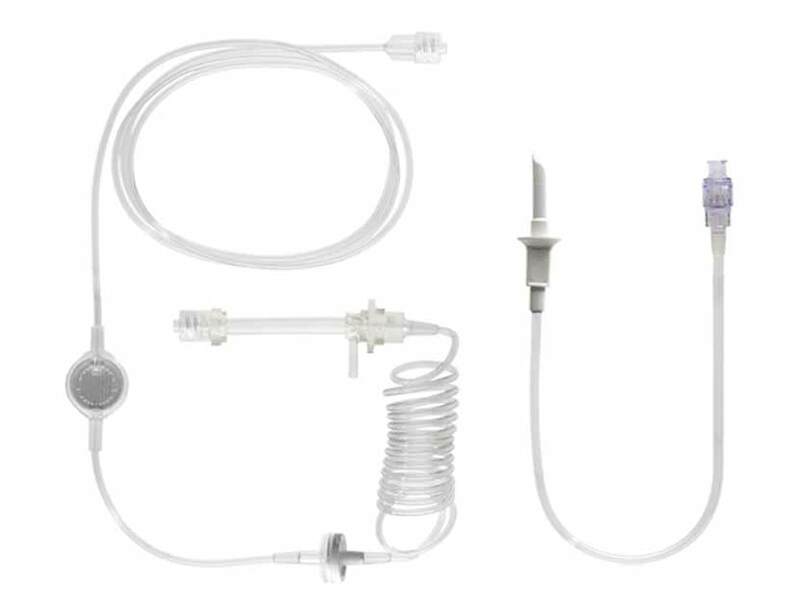 One siphon – one special check valve – helps to prevent back flow and free flow. 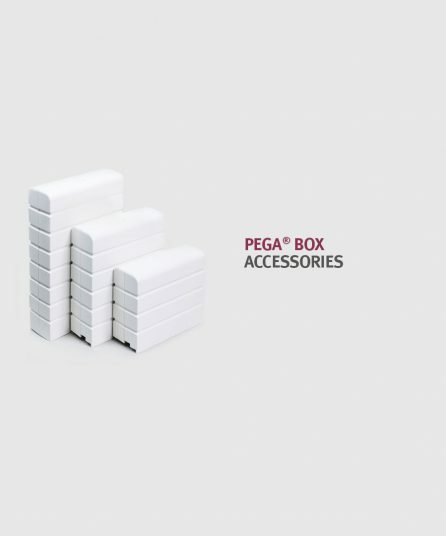 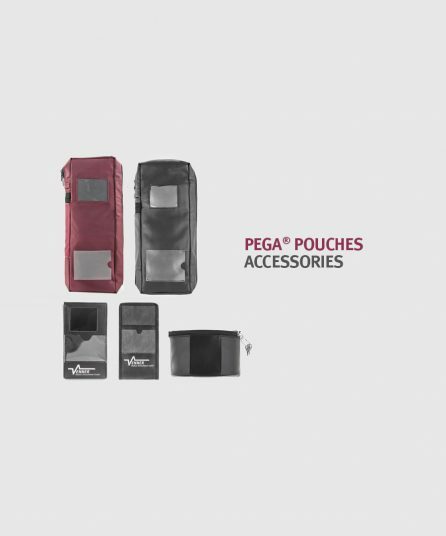 The PEGA® SPIKE consists of one unvented piercing pin for poly bags, one 30 cm long infusion tube, and one female luer lock with a safety valve.